Autumn is very definitely upon us and it leaves me with lots of tough decisions to make. 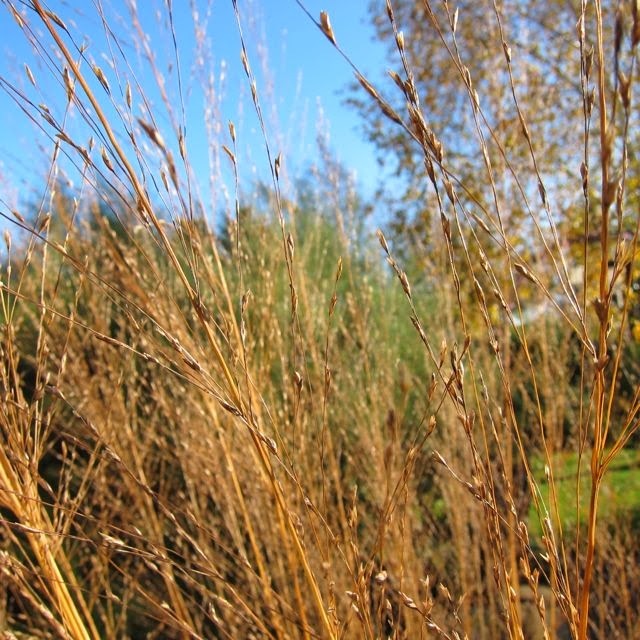 When does that architectural seed head I have been enjoying, get the chop and join the rest of the season's growth on the compost heap ? What is the tipping point from lush to mush, keep to heap, ornamental to detrimental ? Sometimes I just don't know. 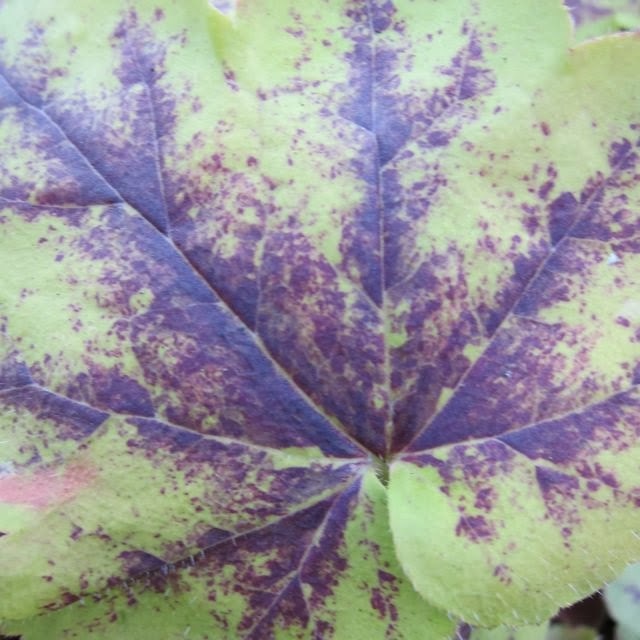 In some cases the tipping point is clear to see, usually after the first frost has taken its toll, and the poor old plant has turned into a slimy mess overnight. It's a no-brainer and my secateurs are whipped out without a second thought. 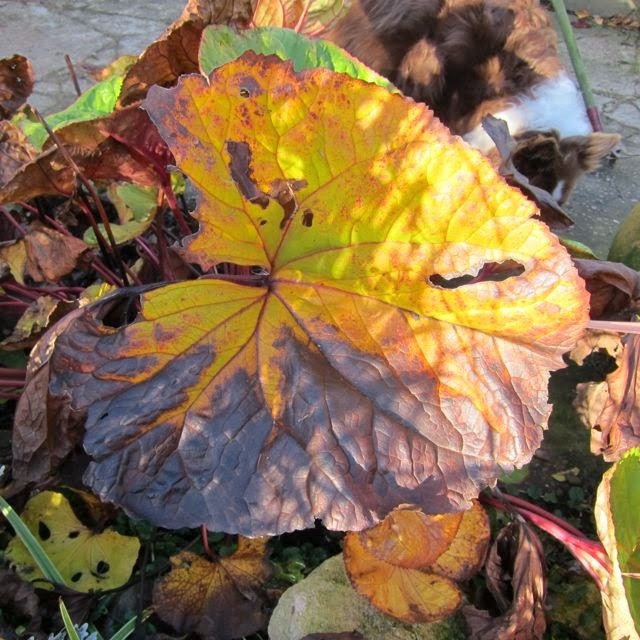 In other cases it is obvious that the plant still has lots to give before its last ride in the wheelbarrow. 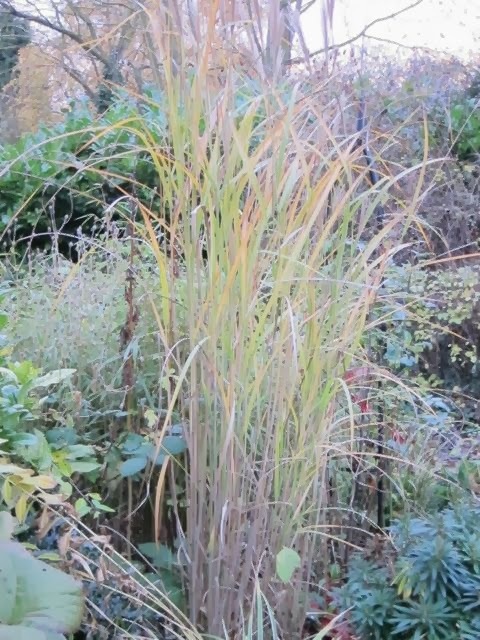 I think most would agree that this Miscanthus is still giving pleasure. 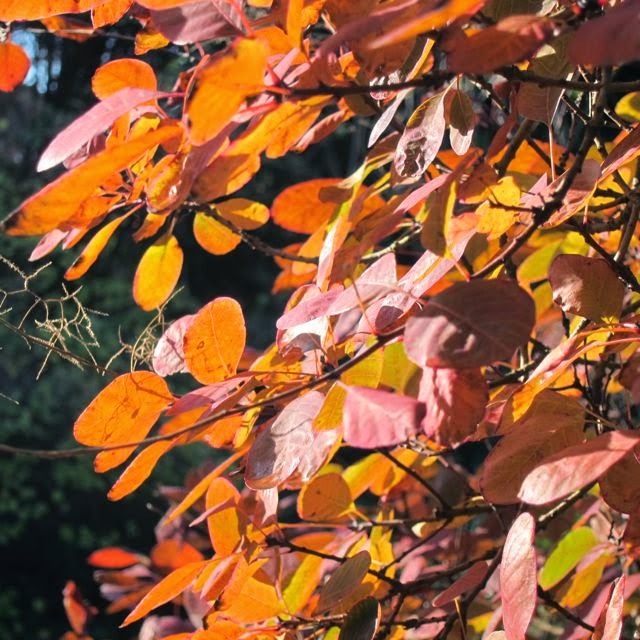 It is still upright and has strong colour and form, only enhanced by autumnal tinges of colour. 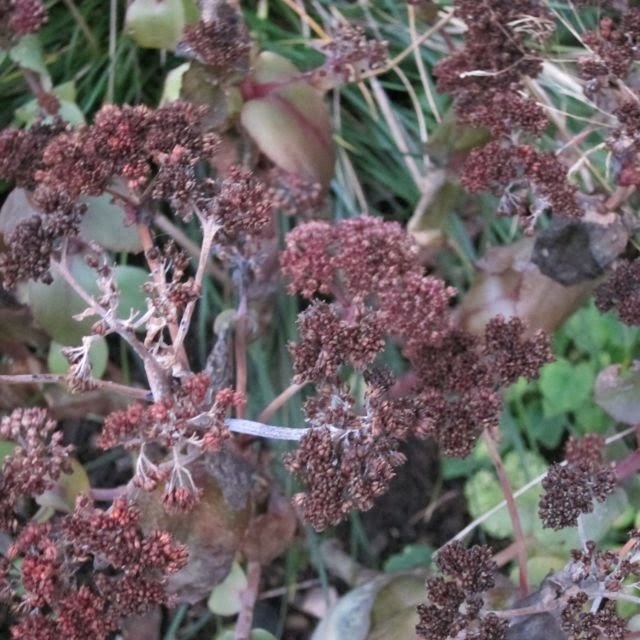 But what abut this Sedum ? Interesting textural statement or just a dead plant in need of a haircut? 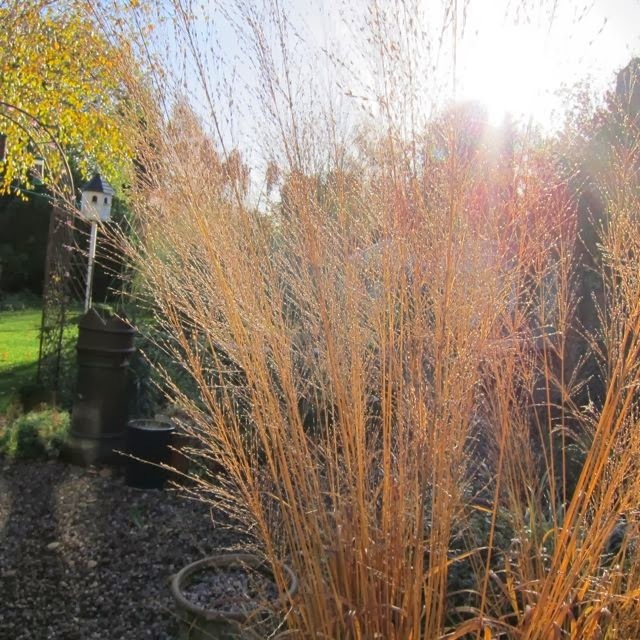 I sometimes think, when I read articles about the attractions of the Autumn garden in Garden magazines, that it is a case of the 'Emporer's new clothes' and that we are kidding ourselves that there is beauty in the skeletal remains of some plants. 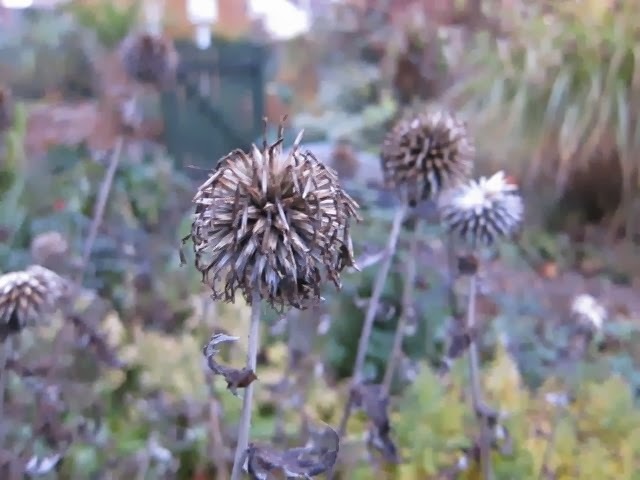 Are those people who haven't read the articles, peeping over my garden wall and sniggering at my untouched Echinops ? Or worse, do they think that I'm just a lazy gardener who can't be bothered to cut back ? 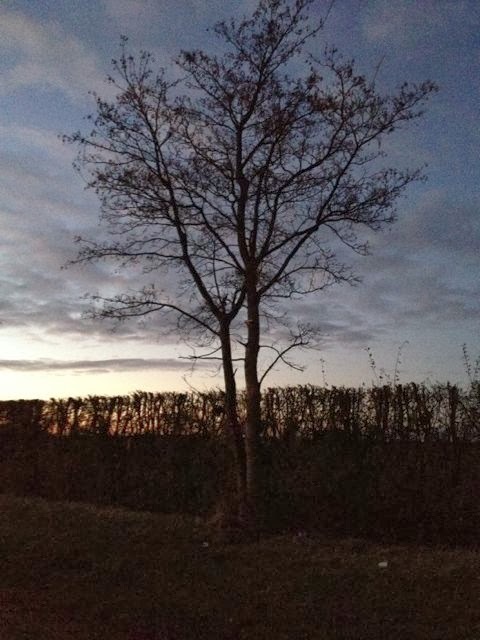 The traditional gardener would have razed the lot to the ground, back in the 1970's, without a second thought. Personally, for the record, I do think that my Echinops still have something to contribute to the garden, but their card is marked ... the wheelbarrow is waiting ! 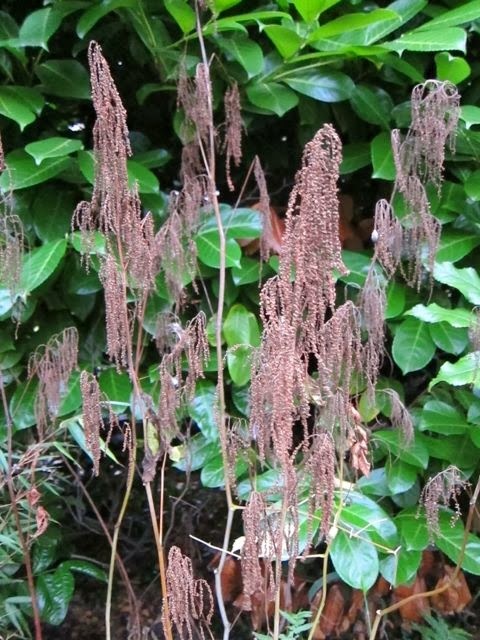 So what about this Aruncus Dioicus ? Keep or cut ? I can't decide ? This one is easy, and in my opinion, it's a keeper. 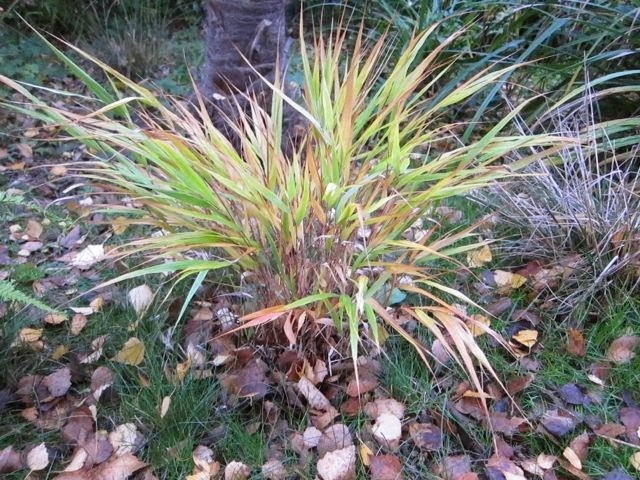 One of my favourite grasses, Hakonechloa Macra, is still looking lovely, as it gradually turns colour. 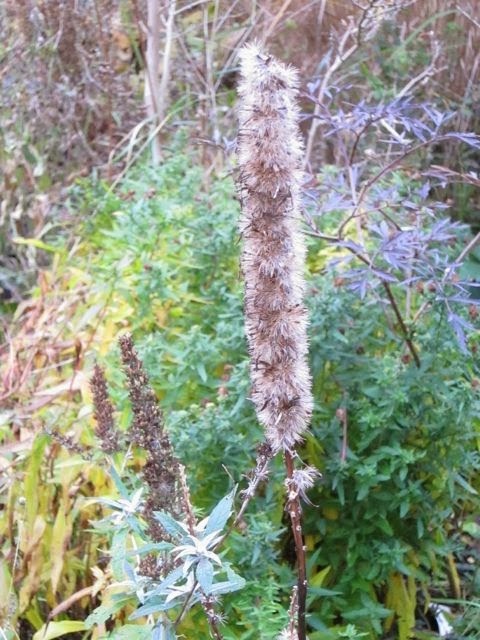 This Liatris is also still looking good, for the time being and still deserves its place in the border. 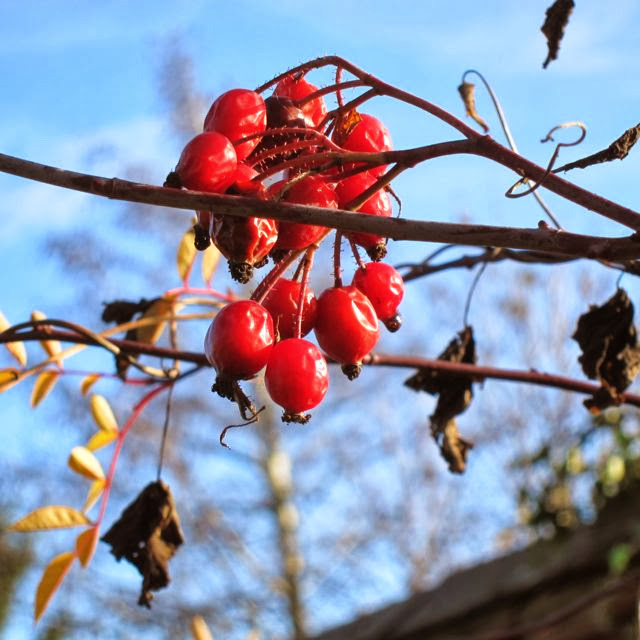 Beauty, as they say, is in the eye of the beholder, and so I suppose it is all down to personal choice as to whether there is still beauty in these dying plants. Trouble is, with some of them, I just can't make up my mind! 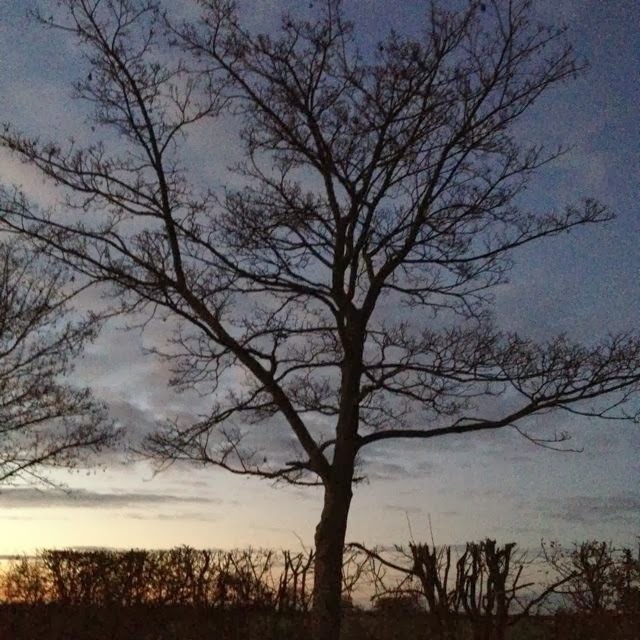 Although we are into mid-November, there have only been a couple of frosts so far. The last one has killed off some, but not all of the dahlias and the last of the bedding. 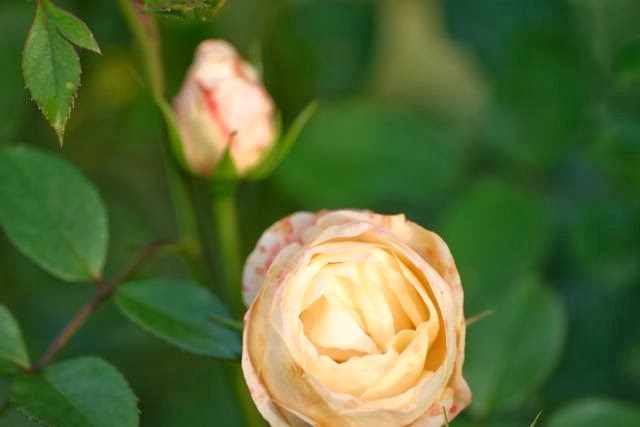 The roses are behaving in very different ways - some are still blooming as freely as they did in June, while others are leafless and flowerless, well into winter-mode ! 'Joi de Vivre' (Floribunda) still thinks it's summer, whilst Charles de Mills and Rosa Mundi are sleeping deeply. 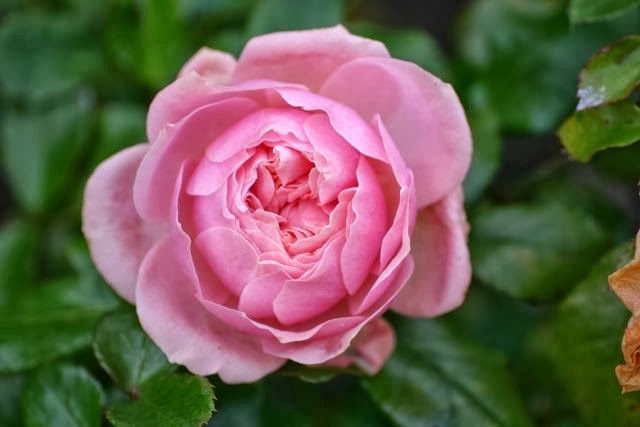 The English roses are still flowering sporadically and 'Geoff Hamilton' has about five fat buds just about to open. 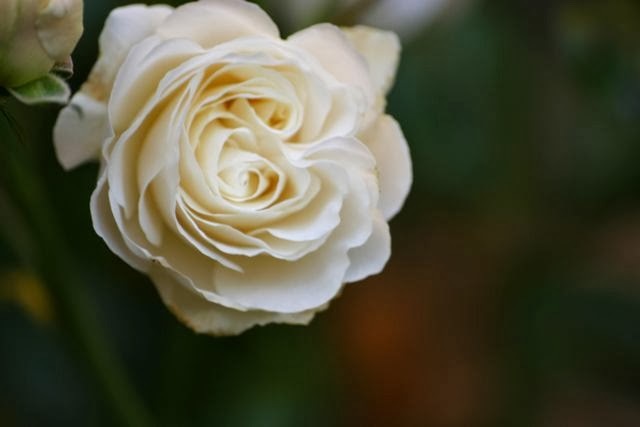 Climber 'White Cloud' has the odd bloom, as has the shrub rose 'Buff Beauty'. All bedding is dead and brown now, although some of the Cosmos has kept going right up to the wire. 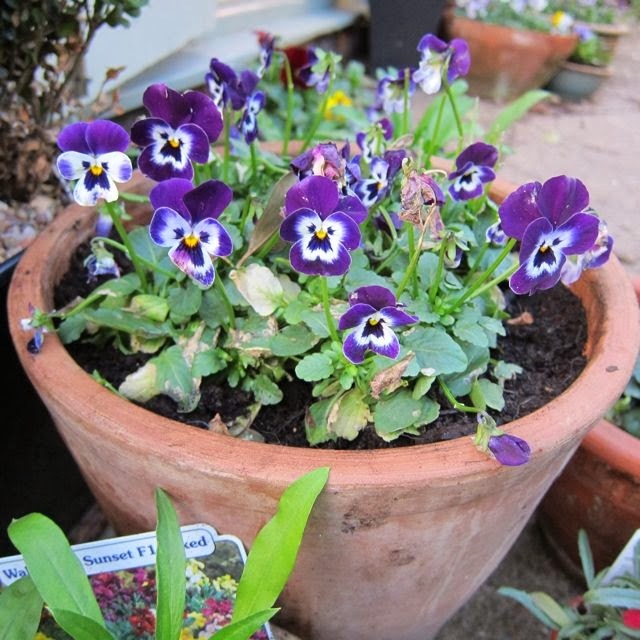 There are occasional ragged Petunia or Geranium flowers in some of the pots. 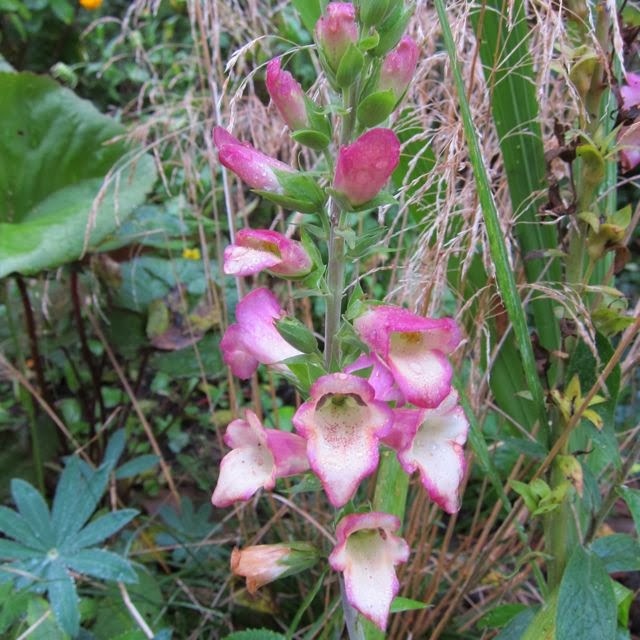 One of the best performers in the garden this season has been Foxglove 'Illumination', a perennial, which started very slowly, but has gone from strength to strength, as it bulked up, flowering continuously. The hardy fuschias are untouched by the weather and are covered in flowers. I have grown lots from cuttings which are dotted around the garden, and all are doing well. 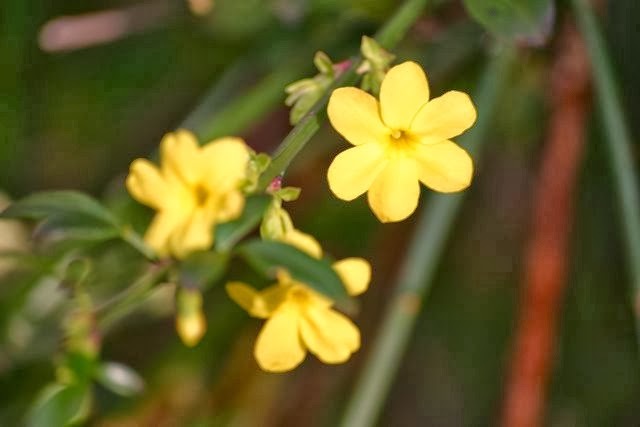 My winter Jasmine has just kick started into flower, and it is positioned by the back door, so that I can enjoy it every time I go out. 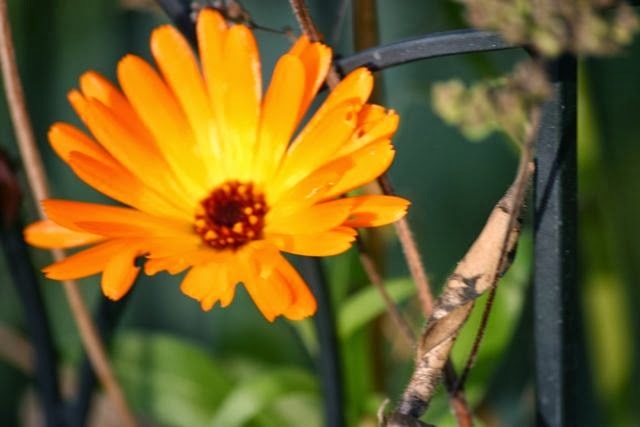 Annual Marigolds are still blooming, not as profusely as in summer, but still enough to give a welcome flash of citrus across the borders. 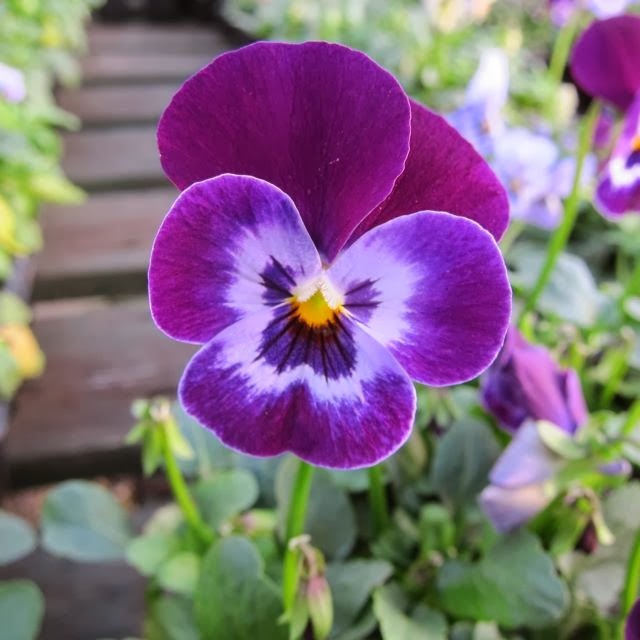 This year I have bought in winter bedding which is mainly Violas. They are so lovely, and I wrote about them in more detail in my post But ... you're beautiful ! 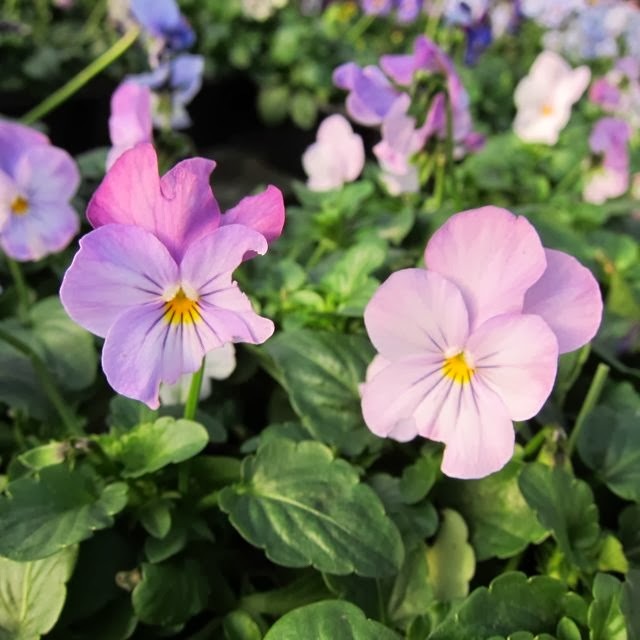 The one below is my favourite, the very dainty 'Viola Primrose Picotee'. There are other odd lone flowers, forlornly waving in the breeze, looking like guests at a party who have overstayed their welcome. 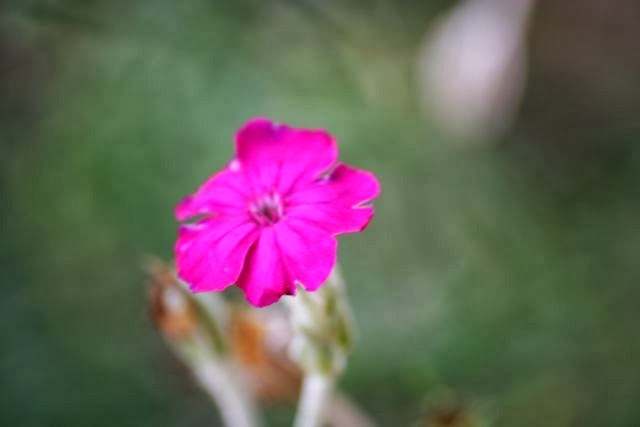 The Lychnis below will be the last one until next year. 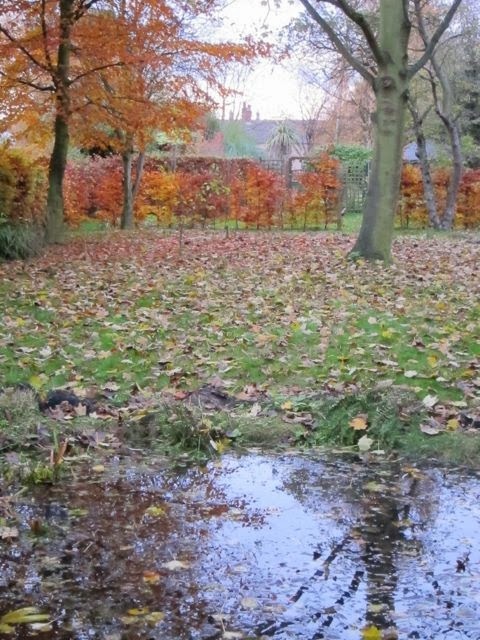 Now, Autumn colour does very little for me, and if I'm honest gives me little pleasure. 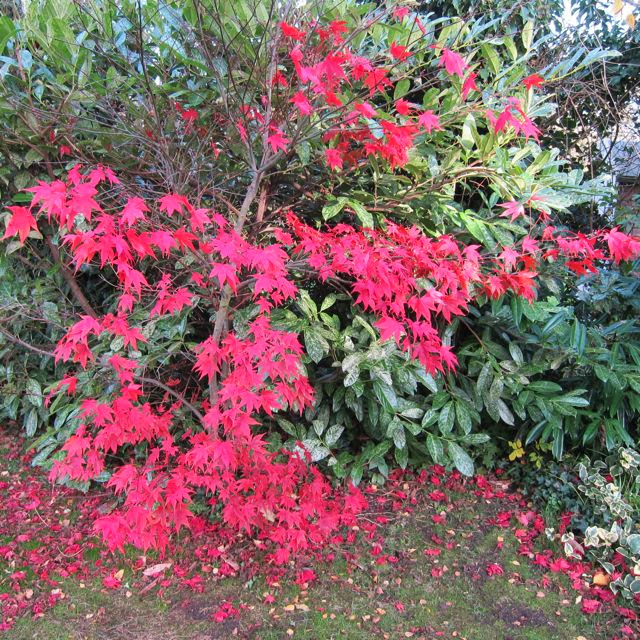 However, I have to admit that Acer Palmatum below is a beautiful rich red, for a fleeting moment. 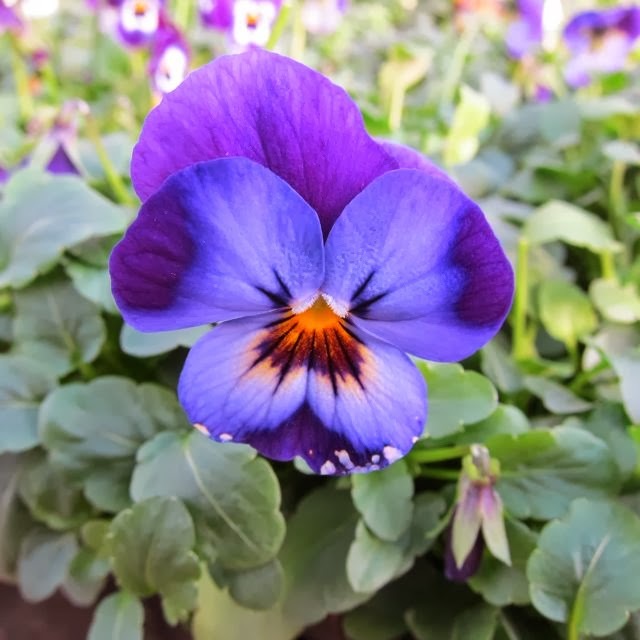 I am linking this post to 'Garden Blogger's Bloom Day' on 'May Dreams Gardens' where you can see what's happening in lots of other blogger's gardens. 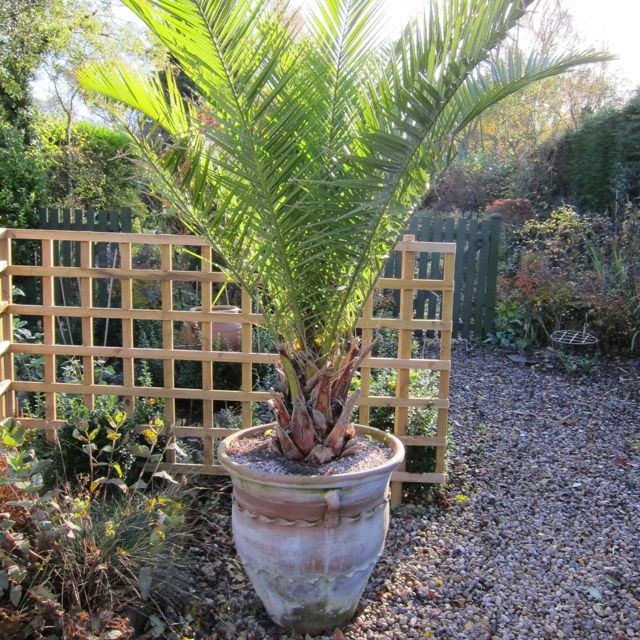 Years ago, back in the day, you could find a little unassuming perennial at the front of the border. 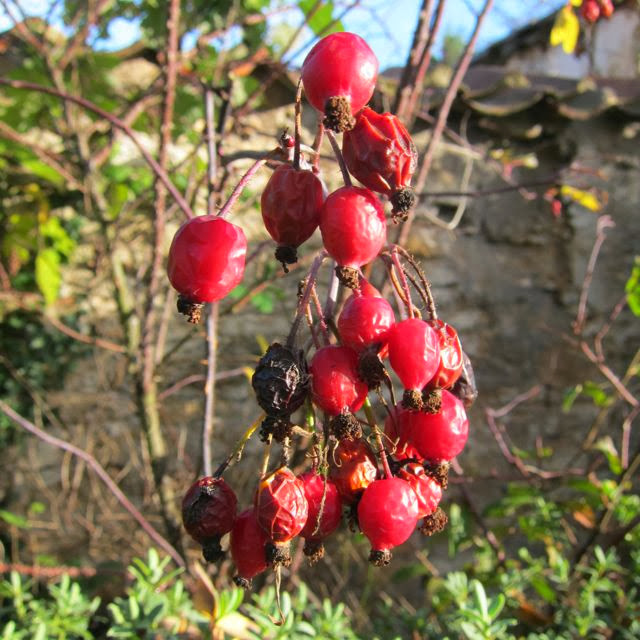 It had small, green leaves and tiny red flowers on the end of tall stems. 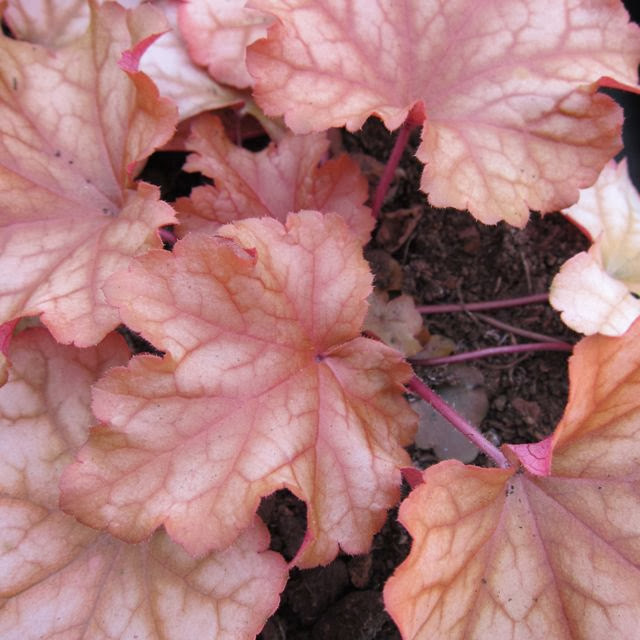 The Heuchera. 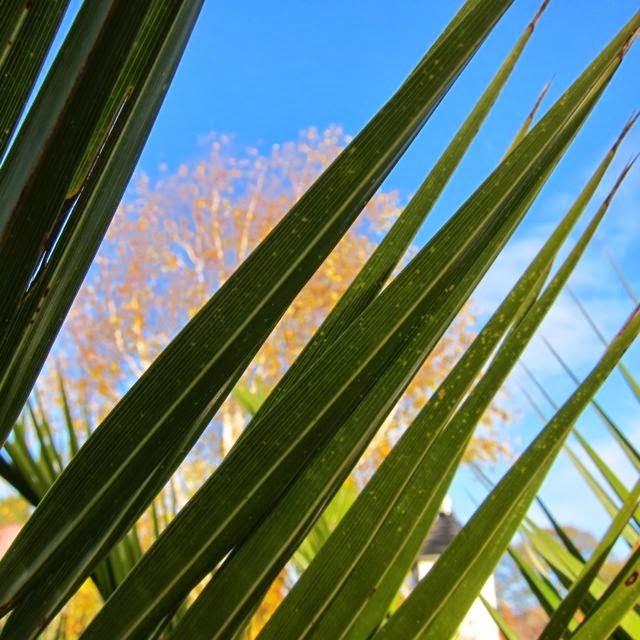 It was the sort of plant that reliably plugged a gap and provided a bit of foliage, as a backdrop to more glamorous neighbours. 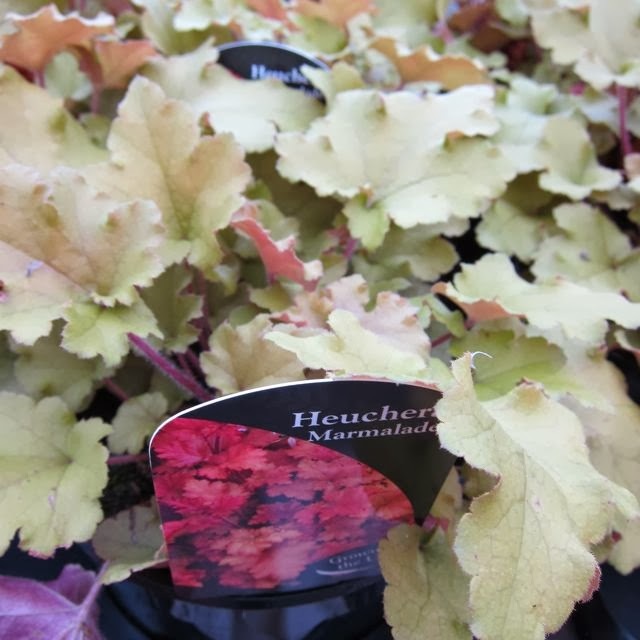 Then one day, someone looked at the humble little Heuchera and saw its potential, so they began to produce different varieties. It started with some rather nice reds, some of which were dark and rich, like 'Plum Pudding', 'Black Beauty' and 'Obsidian'. 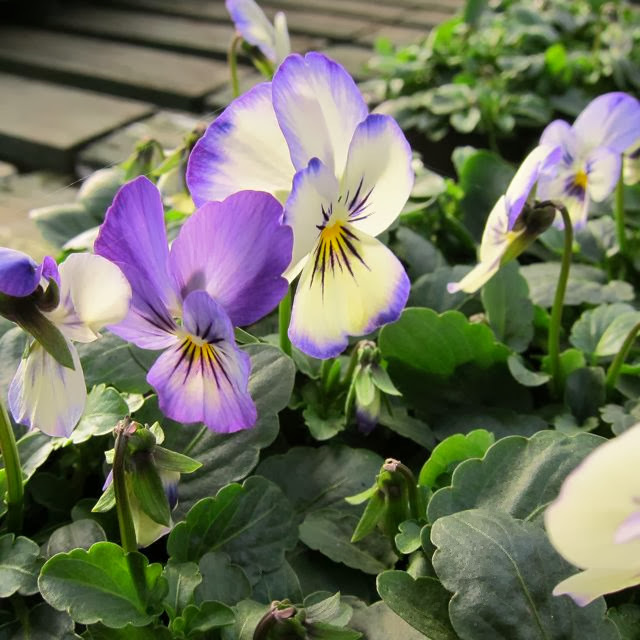 They were good, sound garden plants, reliably providing long-lasting colour, especially in the months when colour is a luxury. 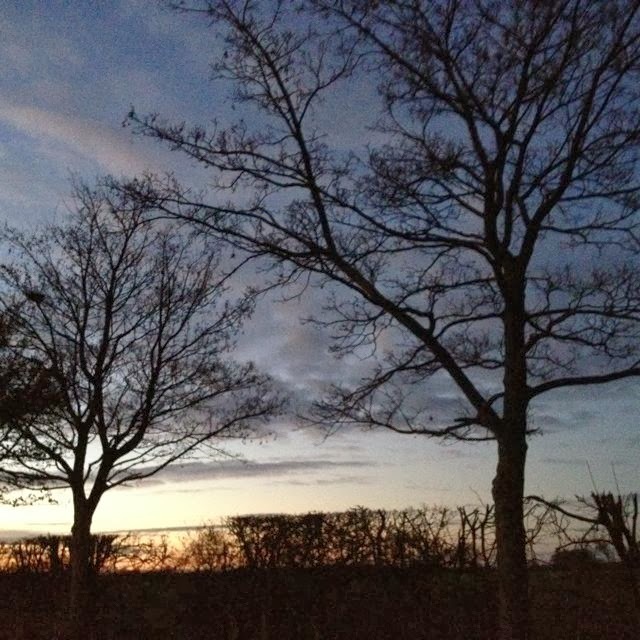 Lovely little pools of darkness in the borders. 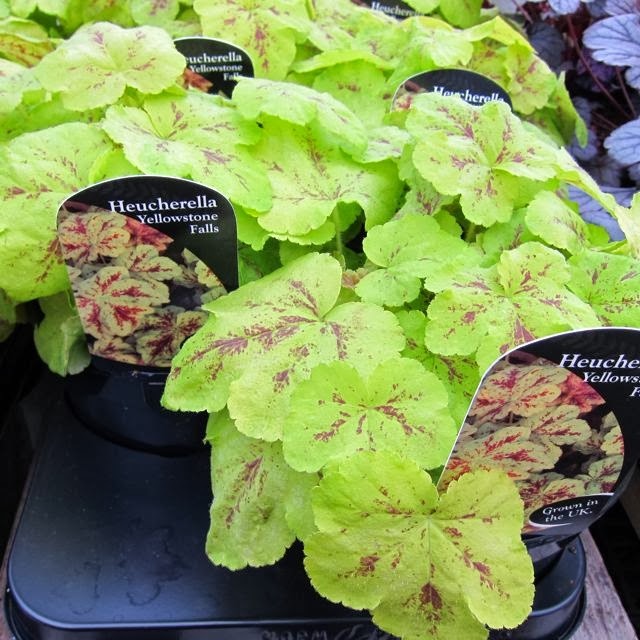 Almost overnight, the floodgates opened, and a deluge of brightly coloured Heucheras came flooding onto the market. 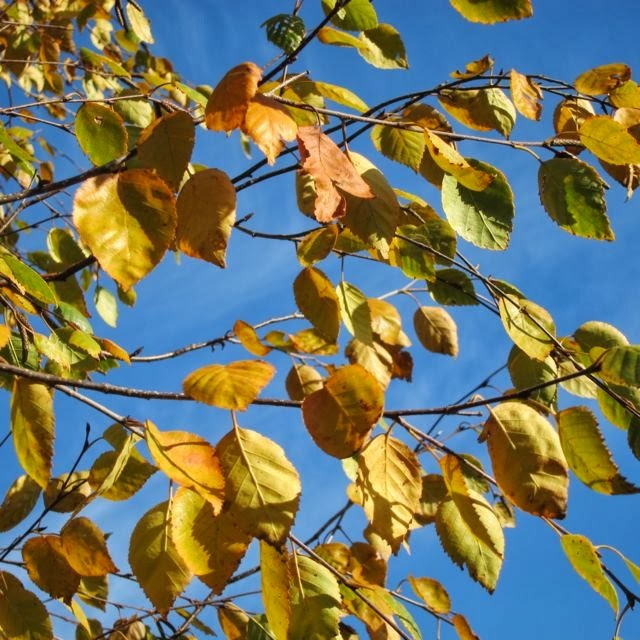 There was a rainbow of lurid lime greens, apricots, sulphur- yellows and purples, and the names, as well as the foliage, were guarenteed to attract attention. Names like 'Berrie Smoothie' sounded more like something attractive to eat, than something to grow. 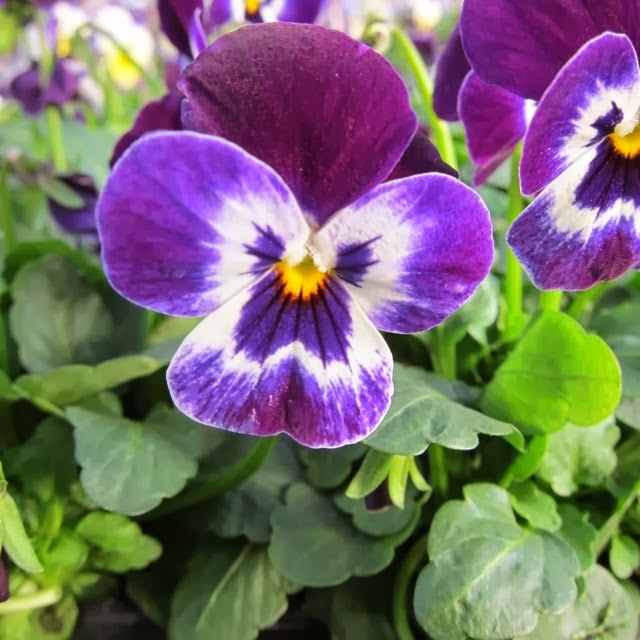 Somehow, they were designed to attract the attention of the 'Sunday Gardener', enroute from the Garden Centre Coffee shop to the bedding plants. 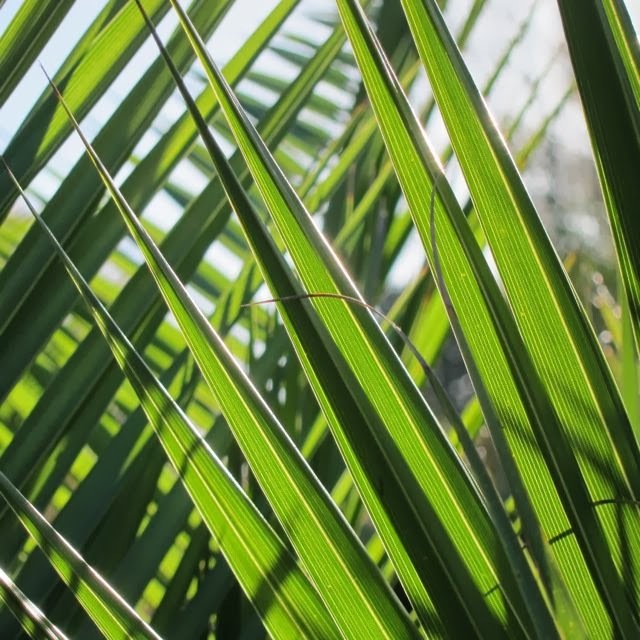 These plants do not know the meaning of the word 'subtle', they are bold as brass and in your face, big showoffs, dancing in the limelight and outshining all around them. 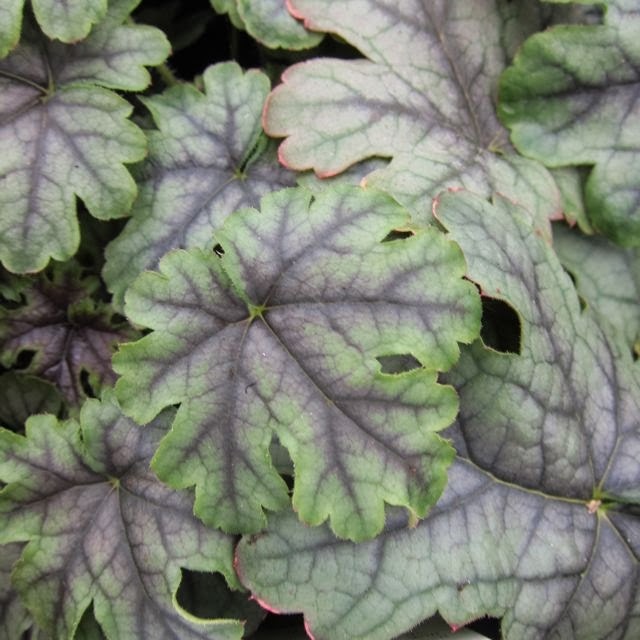 They are the slightly vulgar cousin of the respectable, hardworking green original Heuchera. The gaudy newcomers in the garden, drawing far too much attention to themselves. 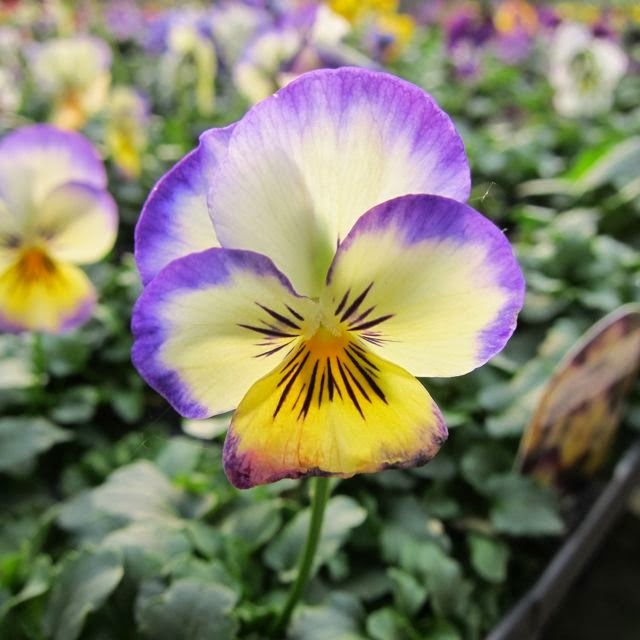 However, not all the new varieties are bright, as there are also some limp, faded colours, like well washed clothes. Some of them look sickly, as though they are already dying off, even when they are in the peak of health. 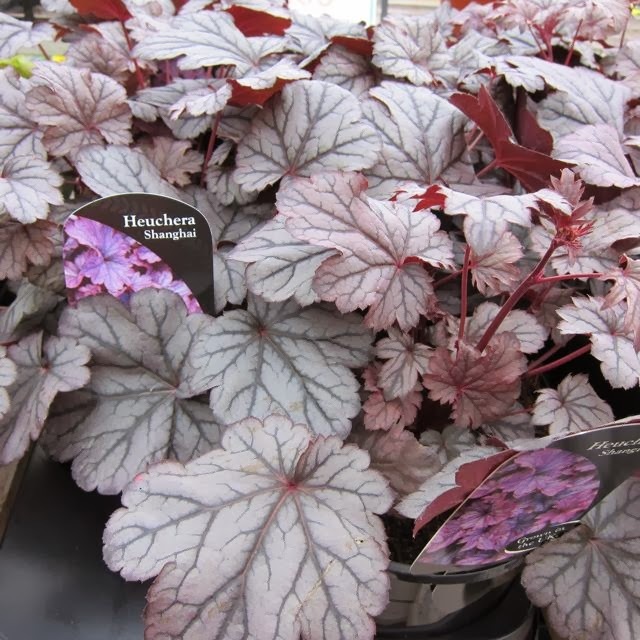 But am I alone in my dislike of these Brave New Heucheras ? 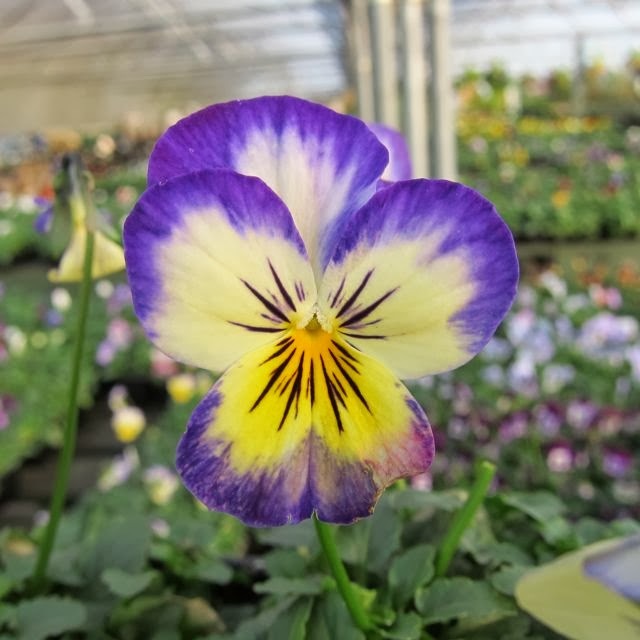 My local proper nursery owner, at 'Appleby Nursery', says they sell extremely well, particularly at this time of the year, when there is not much else around, so perhaps I am in the minority. 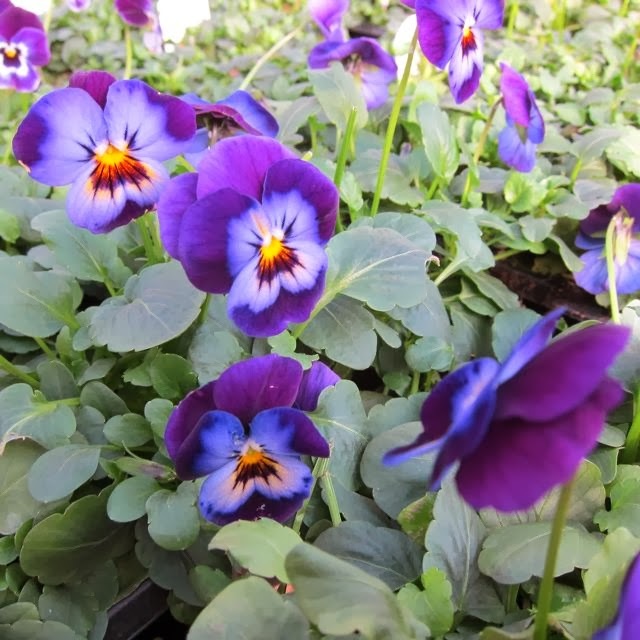 I can see why they are attractive to some people - you buy them, you plant them, you leave them, you enjoy them. 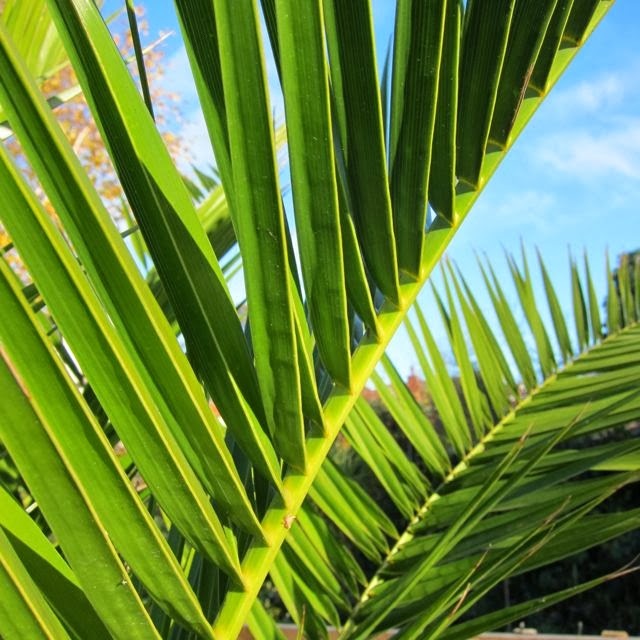 No staking or pruning or lifting or cutting back. They couldn't be easier to look after. Some of them, I really do love. 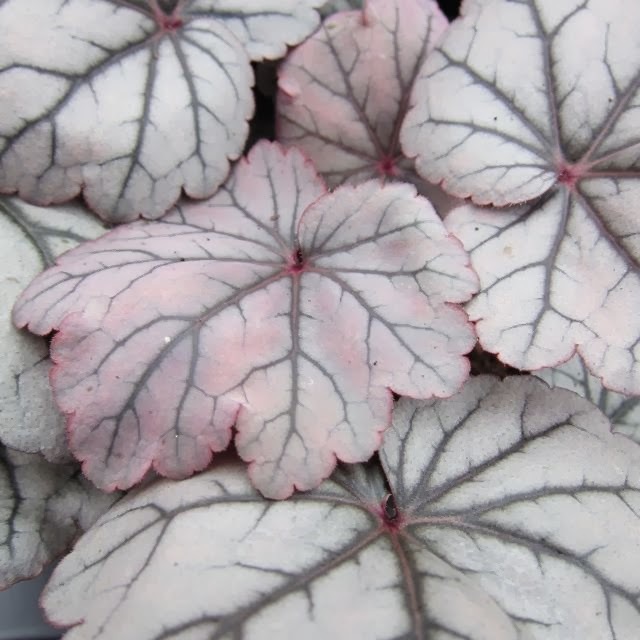 The leaves are delicate and interesting, like 'Tapestry' above and 'Greenspice' below. 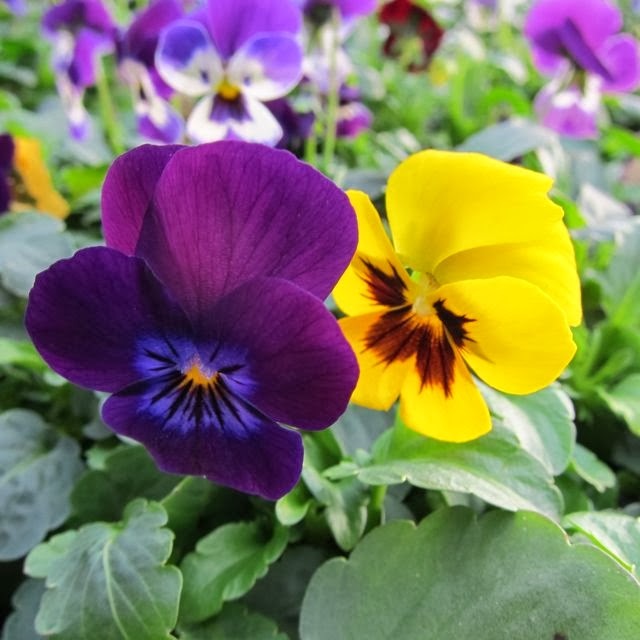 The colours are rich without being gaudy, and they add to the colour and texture in the border. 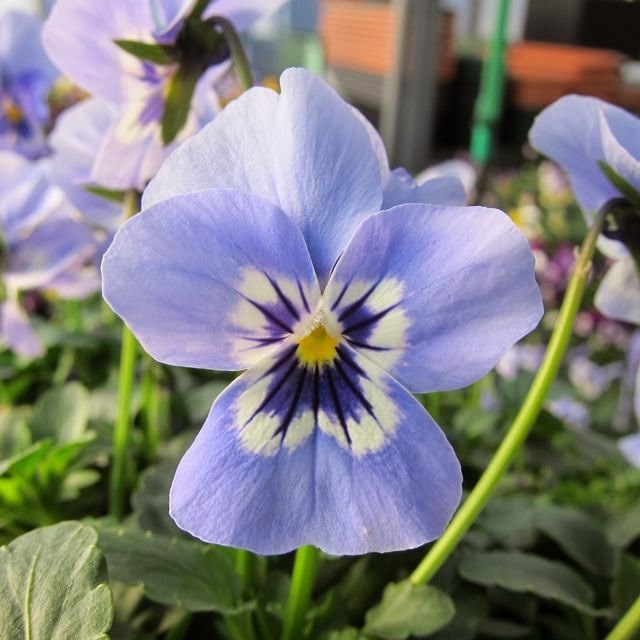 They all represent fantastic value as they can be bought for a few pounds, and will live for years in the garden. 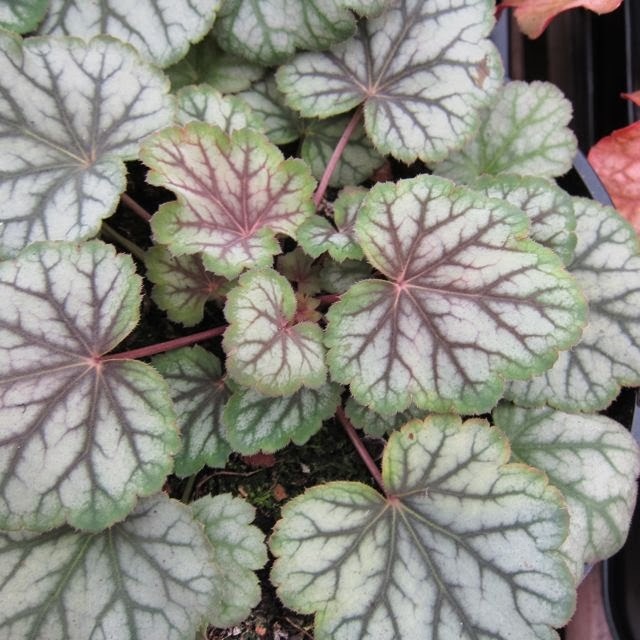 So why do I feel that this new generation of Heucheras are imposters in the world of 'real plants' ? I think it is because they look slightly unreal, like those brightly coloured heathers which are in garden Centres at the moment, and have clearly been dipped or sprayed in dayglo colours. They also remind me of plastic flowers, in that there is an unreal quality to them. I feel that I am being manipulated by the growers, in this 'stack 'em high, sell 'em cheap Garden Centre ethos, who sell their plants with the same marketing techniques used to sell soap powder or shoes. Give me the old fashioned nursery grower any day. 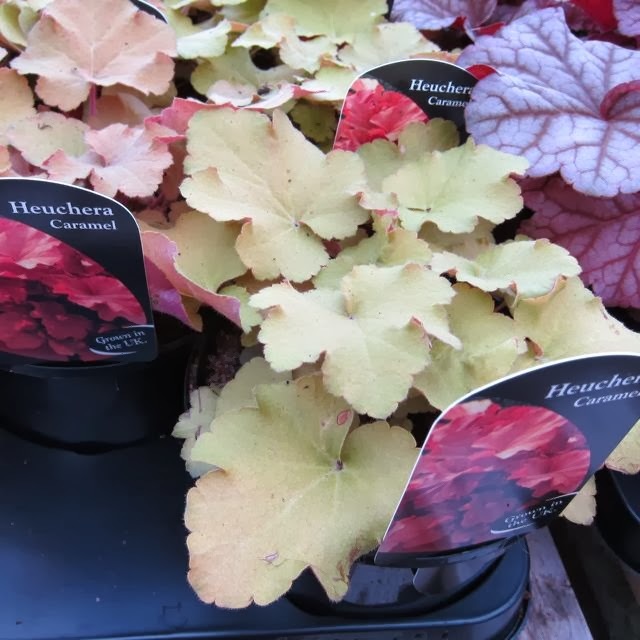 I suppose I feel that the new generation of Heucheras are designed to appeal to people who don't usually buy plants. 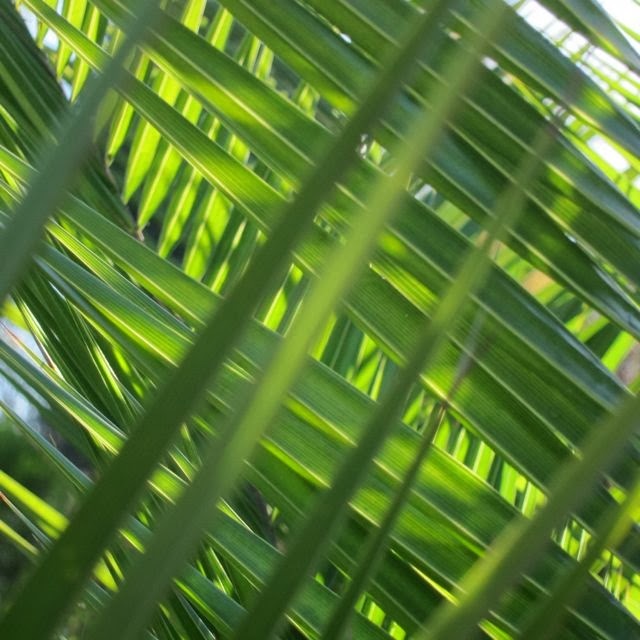 Like everything else, the appeal of a plant is a personal thing. 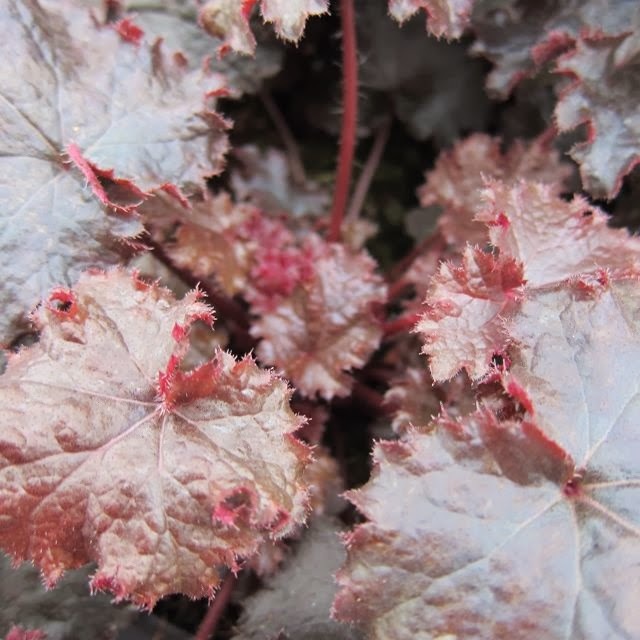 For me, this Brave New World of Heucheras is something to be examined variety by variety, plant by plant. There are some fantastic plants in there and some absolute turkeys, and I will be very interested to see which ones are still being used extensively in gardens in ten years time.